The "Nose Tackle" position. For the New Orleans Saints, it's one of the least glamorous and little-publicized positions on the 53-man roster, but yet is critically important in how the Saints deploy their defensive fronts. In the base 4-3 scheme run by defensive coordinator Dennis Allen, the 'prototypical' nose tackle normally must be a physically large individual (preferably 300 pounds plus) and strong enough to win "one-on-one" battles at the line of scrimmage. He also must simultaneously show a knack for 'stuffing' the run and possess the capability to take on double teams; in order to free up the linebackers that are flowing towards the line of scrimmage directly behind him, to make a play on the opponent's ball carrier. In the past 2 seasons since Allen took over the Saints defense from former defensive coordinator Rob Ryan, the Saints NT position has recently involved a variation of the 4-3 base defense known in more technical terms as the "1-Gap" system. As New Orleans Advocate beat writer Nick Underhill explains: in a "2-gap" system, which has its roots in a 3-4 defensive alignment, the goal often is to keep blockers off the linebackers, which means bigger players are needed on the line. But --- in a "1-gap" system, smaller players can play on the line since the main objective often is to get into the backfield quicker. The NT position is one of the few "1-gap" system D-Linemen assigned the task of controlling instead of attacking. He needs to be so effective at doing it, that he actually commands a double team from the opponent's O-Line just because of his raw power or brute strength alone. Some defenses in the NFL with a similar scheme to Allen's use what is known as a "tilted" nose tackle. The NT lines up in his normal spot, commonly known as the 1-technique. He then "tilts" his body in the literal sense, but in reality what he's actually doing is facing off directly across from the center --- and looking at him eye-to-eye. This allows him to use his smaller size and quickness to "shoot" the gap (which is why they call it the "1-Gap") between the center and the guard very quickly, and thereby disrupting or "blowing up" the play. It's right there in the very heart of the trenches along the Saints D-Line, where 3rd year defensive tackle Tyeler Davison comes into the picture. The 6-foot-2, 309 pound Scottsdale, Arizona native and 5th Round pick (#154 overall) by the Saints in the 2015 NFL Draft out of Fresno State, Davison was taken by the Saints because of his versatility to play multiple positions on the Saints defensive line. He can play nose tackle in a 3-4 front, or the nose / 1-Technique and the 3-technique (interior pass rusher) in a 4-3. During his college career with the Bulldogs, Davison was a 1st-team All-Mountain West Conference selection as a sophomore at nose tackle, earned second-team honors as a junior, and as a senior in 2014 started the season at defensive end, before moving back to nose tackle --- where he had 8 1/2 sacks and 13 tackles for loss and proved to be Fresno State's best lineman. So clearly, the potential for Davison to do "great things" for the Saints defense is there. However, he just hasn't seemed to have been been able to fulfill that potential that led New Orleans to trade then-starting guard Ben Grubbs to the Kansas City Chiefs in exchange for the pick they eventually used to select Davison. Last year, Davison was hampered throughout the entire season by foot and shoulder injuries; but yet still managed to start 15 out of 16 games at nose tackle. But he suffered both a foot injury and a torn labrum during what proved to be a physically brutal contest in Week #2 against the New York Giants, which forced him to miss the following Week #3 contest against the Falcons. He returned the very next week in a win over the Chargers at San Diego, but playing through the pain clearly was a detriment to his production as evidenced by his final numbers on the 2016 season: 23 tackles, 2 passes defensed, and a forced fumble --- but ZERO sacks. Davison subsequently underwent shoulder surgery in January, and has spent the majority of his 2017 off-season rehabbing. As NOLA.com / The Times-Picayune beat writer Josh Katzenstein reported last month, Davison has spent some time at the Fischer Institute, a physical therapy facility in Phoenix, but has been continuing his rehab at the Saints' facility. He told Katzenstein that he also tries to stretch and do other helpful activities outside of his rehab. In all, Davison has played in a total of 31 out of 32 possible games during his first 2 seasons, and has proven if nothing else to be a reliable player since taking over the nose tackle position from John Jenkins --- New Orleans' 3rd Round pick in the 2013 NFL Draft out of the University of Georgia; whom the Saints released last November. He's also become one of the very best defenders for the Saints D-Line against the run, an important attribute that makes him a vitally important player within the defensive Front 7. 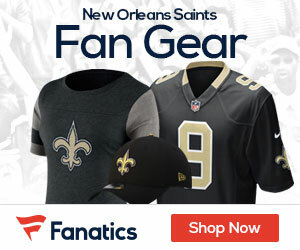 "It's hard to as a fan measure how a nose or inside tackle is playing," Saints head coach Sean Payton told reporters near the end of last season. "But I think he (Davison) has been pretty consistent and he is a pretty smart player, so rarely is he in the wrong spot. He's in the right gap." But as his overall numbers (41 tackles and 1 and a ½ sacks) would indicate, Davison has yet to make the "impact" they were hoping for when they selected him, specifically with regards to getting more pressure on the QB in passing situations. To his credit, Davison is well aware of the expectations that the Saints coaching staff has of him heading into the 2017 season, and is excited about the chance to began Training Camp with no physical restrictions and to began practicing with his teammates fully once again. "I definitely feel like my best football is still ahead of me," he said to the assembled media following the conclusion of Mini-Camp last month. There isn't any doubt that the Saints would agree, and given their challenge of compensating all along the D-Line for the loss of starting 3-Technique defensive tackle Nick Fairley (for the entire upcoming 2017 season due to complications from a heart condition), they'll need Davison to show continued growth and development in his 3rd NFL season.